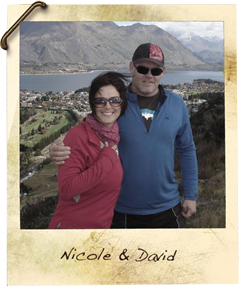 Canterbury Biltong was founded by David and Nicole out of sheer frustration that their local biltong was not tantalizing their taste buds. 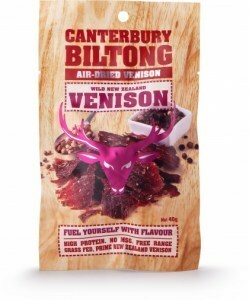 After discovering a family recipe at a friend’s farm, David decided to try his luck and see if he could create his own version in order to get his biltong fix. Contributing hours upon hours of blood, sweat and sheer determination, David eventually created a recipe which he believed would be popular with the locals and therefore tested out his prototype meaty snack at a wild food festival and local markets, As luck would have it, his recipe proved to be a winner and subsequently quickly became a sellout. 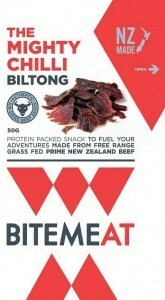 The business soon expanded to keep up with demand and now is a major supplier to delis, ski-fields, outdoor shops and in Armed Forces bases around New Zealand. 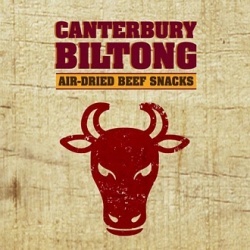 Canterbury Biltong products are naturally cured, spiced, air dried Prime New Zealand Beef that are deliciously healthy. All products are made from Biltong export-grade, porterhouse or topside steak in the traditional fashion. 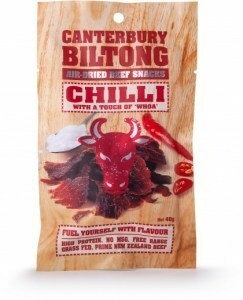 It has a dark, black appearance which contrasts strongly with its delicious, almost addictive flavour. 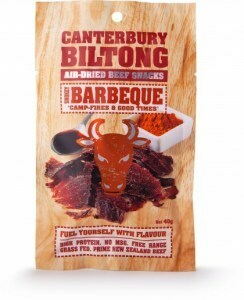 Canterbury Biltong products are great for outdoor adventurers to pack in their backpacks, as Biltong has a shelf life of 5 months without using preservatives or de-oxygenator sachets.